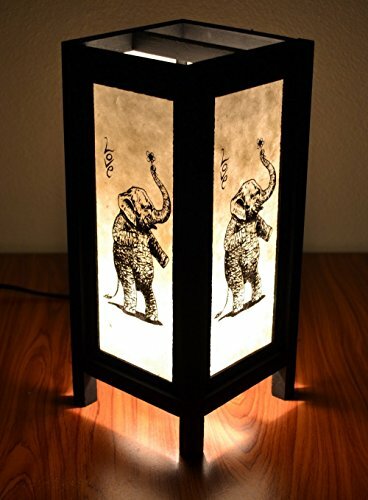 The handmade lamp will be delivered to you directly from Chiang Mai, Thailand. If you have any questions about this product by Jakapan's Shop, contact us by completing and submitting the form below. If you are looking for a specif part number, please include it with your message. Thai Vintage Water Ladles, Coconut Shell Wooden Water Dipper Big 1pcs. Thai Vintage Handmade Asian Oriental Fantasy Skull Bedside Table Light or Floor Wood Paper Lamp Shades Home Bedroom Garden Decor Modern Design from Thailand By. Thai Decorated shop.